This weekend is devoted to recovering from the 2018 NAB Show in Las Vegas, Nevada. NAB is an amazing, exhausting, overwhelming show – all packed into four days. It is both great fun and grueling at the same time. 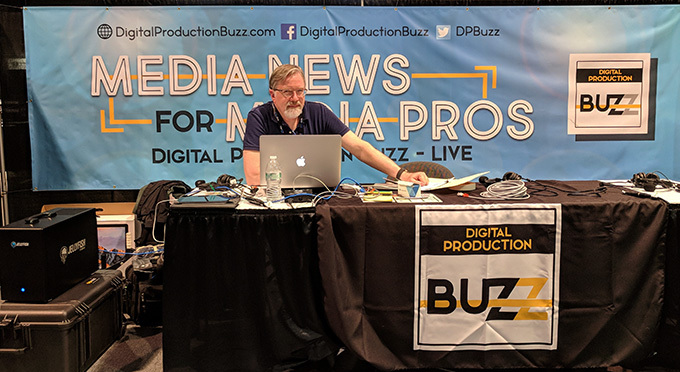 This year, as we have for the last ten years, the Digital Production Buzz took a production team to the show to cover the news and announcements from as many companies in our section of the industry that we could. Over the course of four days, we created 27 45-minute programs, featuring 88 companies, with 102 total guests. Here’s a link to everything we produced. Each day, we collected our favorite four interviews from the past 24 hours and bundled them into a highlights show. Not only did this give our crew time to get lunch, but it also meant that we could present a fast way for our audience to catch up on key events. MONDAY – Here’s the link. Chris Brown and Michelle Kelly talk about how they design and plan the NAB show for this year. TUESDAY – Here’s the link. Dan May, President, Blackmagic Design, discusses the new DaVinci Resolve 15, Fusion, and their newest product the 4K Pocket Camera. Alan Hoff, Vice President, Marketing Solutions, Avid, talks about Avid’s media central editorial management, improved collaboration, Avid connect app, the growing Avid Artist Community, and new tools for content creators. Will Waters, Director, IP Workflow, NewTek, discusses Newtek’s Video over IP Workflow (NDI) and how this workflow extends into virtual control rooms and production environments. 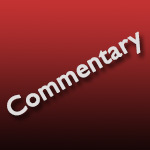 Durin Gleaves, Product Manager, Audio, Adobe Systems, Inc., summarizes the popularity of Adobe Audition, his favorite feature called Remix, and the ability to import Premiere projects into Audition without first exporting them. WEDNESDAY – Here’s the link. Boris Yamnitsky, Founder and President, Boris FX, talks about Boris FX’s new product, Particle Units with an all new user interface, fully modernized. He also discusses Mocha’s new visual workflow and URI. Larry O’Connor, CEO, OWC (Other World Computing), shares OWC’s new ThunderBlade SSD, which saves time and money for editing, and their new certified eGPU system for the macOS. Bram Desmet, President/CEO, Flanders Scientific, Inc. talks about Flanders Scientific’s new 65-inch UHD OLED Monitor supporting both SDR and HDR, along with SDI inputs. He also discusses Flanders Scientific’s new LCD Monitors with their own backlight, as well as the challenges in supporting HDR. Philip Hodgetts, President/CEO, Lumberjack System/Intelligent Assistance, comments on Apple’s new codec – ProRes Raw. He also discusses Lumberjack System’s new product Lumberjack Builder, which focuses on transcription, with additional features including keyword narration and emotion extraction, all contributing to the ability to edit video by editing the transcript. THURSDAY 1 PM – Here’s the link. Dave Walton, Assistant Vice President, Marketing Communications, JVC Professional Video, talks about JVC’s latest connected camera that has wifi and bonded cellphone connectivity capabilities. He also discusses video over IP, how the camera compresses video to IP, and transmits the video. JVC has also upgraded the HM200 Camera by including graphics titles as well as a larger sensor. Ric Viers, Author, Sound Designer, Blastwave FX, discusses the role of sound effects in sound design and his latest book which focuses on recording sound effects for teens. Bob Boster, President, Clear-Com, discusses Clear-Com’s new audio IP card which supports AES67. This new technology includes 64 virtual ports, integration with third parties, and allows user to connect to Clear-Com’s virtual panels. P.S. Happy 50th Anniversary, Clear-Com! Michael Kammes, Director of Technology, Keycode Media, discusses the newest technologies he has found throughout the NAB Show, including some interesting startups with an emphasis on workflow. THURSDAY 6 PM – Here’s the link. Chris Brown, EVP, Convention and Business Operations, NAB, talks about the large amount of preparation work to host the NAB Show, and also gives his opinion on the latest trends in the media industry and their plans for next year. Laura Williams Argilla, Director of Product Management for Professional Audio and Video, Professional Video, Adobe, introduces Adobe’s latest updates for their video and audio software. For Adobe Premiere Pro, updates include shot-matching, split-screen view to compare color adjustments, auto ducking, and supporting more complex motion graphics. For Adobe After Effects, the update offers master properties, which allows master-child relations between parameters, and the puppet tool is upgraded for more complexity and points of interaction. Additionally, Adobe Audition now offers clip matching, and importing sequences from Adobe Premiere Pro. Laura also explained Adobe’s plans for the future. Matthew Bennion, Senior Product Marketing Manager, G-Technology, introduces G-Technology’s three new SSDs, including a new portable SSD, a new desktop product called G-Drive Pro SSD, and lastly, a new RAID called G-SPEED Shuttle. Eric Larsen, Director of Marketing, TASCAM, talks about TASCAM’s latest products, including a firmware update for their DSLR recorder, which now supports ambisonic audio recording. He also talks about their new Dante converter that uses Cat5 and Cat6 cables to deliver audio over IP. Creating 27 live shows in four days requires an incredibly talented and hard-working production team. 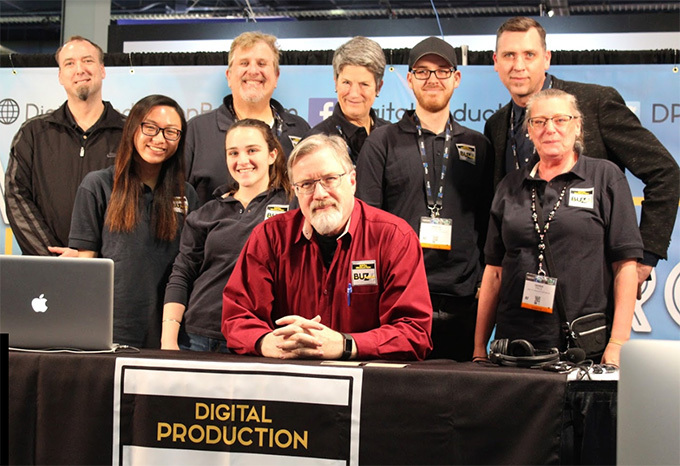 Here are the folks that made our productions at NAB 2018 possible. I’m deeply grateful to every one of them.